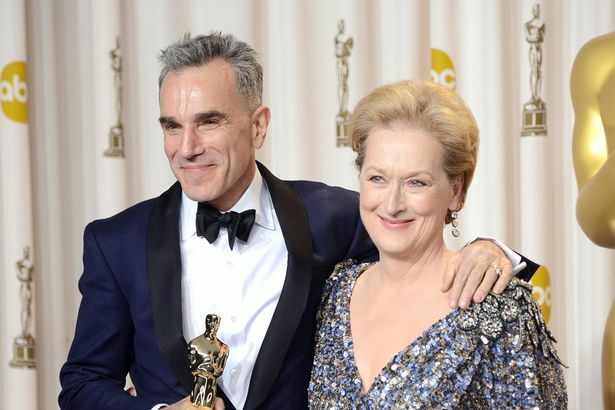 Daniel Day-Lewis and Meryl Streep strike a pose at the Oscar 2013 press room. Courtesy of Getty Images. When Meryl Streep presented Daniel Day-Lewis with his third Oscar (making him the first performer in history to receive three Best Actor statuettes) on last month’s telecast, I suddenly realized that these two acting titans have never shared the screen before. Day-Lewis’ joke that he and Streep had originally been committed to star in each other’s projects—with her playing Abraham Lincoln and him playing Margaret Thatcher—was funny, but not entirely ridiculous. If anyone could pull off such an acting feat, these two people could. There are no two actors in modern cinema more committed or more versatile than Streep and Day-Lewis. She’s the greatest actress since Katharine Hepburn and he’s the greatest actor since Marlon Brando. It’s impossible to tire of them because they take such bold and diverse risks in every single one of their pictures. The painstaking level of preparation and attention to detail that they bring to their characters is absolutely unparalleled. Here’s hoping they make a movie together in the very near future, and let’s hope that it’s not a musical (“Mamma Mia!” and “Nine” stand as proof that even the finest artists are fallible mortals). After playing several noble souls, it was utterly jarring to see Day-Lewis tackle the role of this loathsome American nativist (loosely based on Bill Poole), who wages war against the Irish immigrants in New York circa 1846. He is so mesmerizing that he makes the rest of the cast in Martin Scorsese’s epic look like cardboard cutouts. So committed was Day-Lewis that he maintained his accent on and offset during the entire production and even continued filming after co-star Leonardo DiCaprio accidentally broke his nose. “Lincoln” fans will now bask in the irony of Bill’s knife-wielding hatred directed at Honest Abe. Embodying the corrosiveness of America’s capitalistic greed with every fiber of his being, Day-Lewis sets the screen ablaze in Paul Thomas Anderson’s masterful Kubrickian drama. 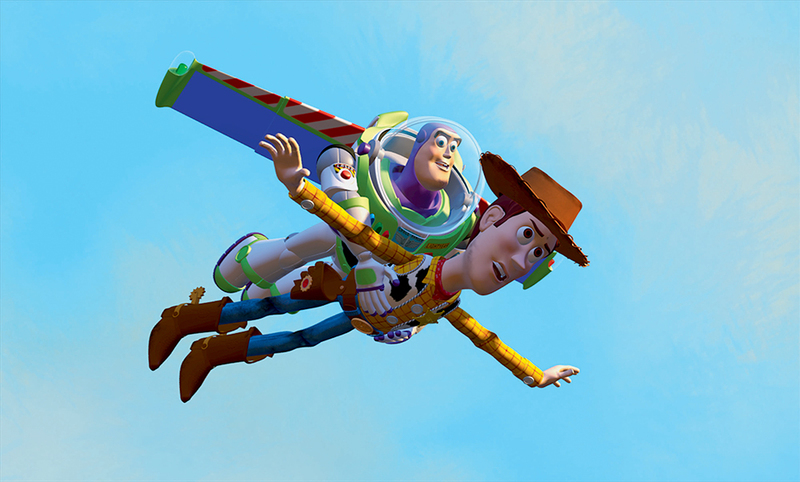 Like “2001” in reverse, Anderson portrays the devolution of man with starkly foreboding compositions, while gradually draining his lead character of the ability to empathize with another human life. Yet the real love that Plainview feels for his neglected son is evident even in his most enraged moments. Day-Lewis immortalized the line “I abandoned my child” in this jaw-dropping scene—by turns chilling, shattering and darkly amusing. This is my quote that was read aloud during the Chicago Film Critic Association ceremony where we honored Day-Lewis with our Best Actor award: “There’s an urgency reverberating beneath every frame of his performance that makes even his quietest moments absolutely riveting. He captures the dichotomy of Lincoln in all of its conflicting shades—the warmth and coldness, the spontaneity and calculation, the methodical strategizing and the naked, poetic honesty.” I’ll add another line: it’s the most meticulously researched and wholly convincing portrayal of Lincoln ever put on film. Silence is a force not to be feared by an actor. It can convey a greater depth of feeling than words ever could. As a Polish immigrant forced by the Nazis to choose which of her children will be sent to the gas chamber, Streep drew upon her own maternal instincts to make the pivotal scene ring true. Faced with a sadistically impossible choice, Streep found herself unable to speak. She stands trembling with her mouth agape as Sophie’s world swiftly crumbles into ruin. This was filmed in a single take and the fatigued actress refused to shoot it again. It may be the greatest achievement of her entire career. Though its sappy source material drove countless serious moviegoers from the theater, this elegant romance is not only one of the very best directorial efforts of Clint Eastwood’s career, it gave Streep her most ravishing showcase to date. She illuminates the burrowed angst and revitalized eroticism that drives her married heroine into an affair with a traveling photographer. Her chemistry with Eastwood is magnetic (of course, Streep could have chemistry with a lamppost if required), and her fateful choice during the rain-soaked climax is a bona-fide tear-jerker. This should’ve earned her a third Oscar. Yet the film that truly made me a massive fan of Streep was Mike Nichols’ magnificent HBO adaptation of the Pulitzer Prize-winning play by Tony Kushner (who also wrote the brilliant script for Steven Spielberg’s “Lincoln”). Rarely has her versatility been so exhilaratingly displayed, as Streep shifts between the neurotic repression of Hannah, the vengeful tenderness of Ethel and—most amazingly—the prideful wit of an elderly rabbi. This isn’t merely a stunt—Kushner’s casting decisions are all thematically motivated—and Streep brings each role to thrilling, multi-dimensional life.